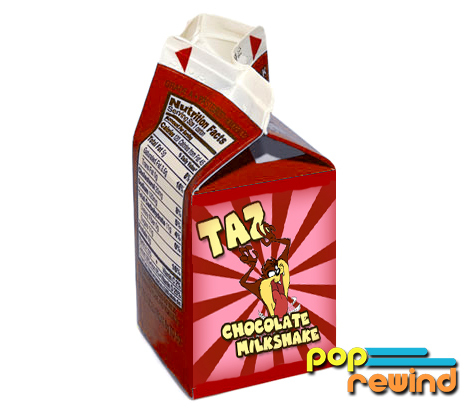 In the mid-1990s, my school kicked each week off by serving frosty Taz Milkshakes on Mondays. Usually, the milkshakes were chocolate, but an occasional inferior strawberry landed on the scene. Either way, there was nothing like chugging down a chocolate milkshake in the middle of the day and spending the rest of the afternoon at school as hyper as the Looney Tunes mascot on the carton. Then, without warning, the Taz Milkshakes just stopped coming. They weren’t on the menu anymore and they never came back. Unfortunately, the delightful beverage was around during the dark years of the Internet. It seems like if it happened in pop culture between 1990 and 1999, there just isn’t much mention online. Any old AOL keywords related to the beverage are likely long gone. So, now there’s nothing. Seriously, search around and all you’ll find is an old Yahoo question about them and probably this article. I suspect Taz Milkshakes were a regional treat because friends I’ve made in other parts of the world haven’t heard of them. Not only were there Taz themed drinks, but there was an alternate Tweety Juice available at times. I never discovered the true flavor of the dark red juice, but I could only describe it as a tiny parade of awesome in your mouth. I’ve created an artist rendering below in the hopes that someone may be able to discover Taz Milkshakes still exist. Perhaps, they’ve simply been re-branded as some Sponge Bob themed snack attack. 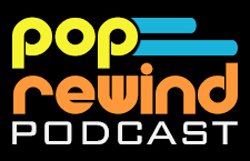 Based on memories of a twenty year old package design. Did you school have some randomly licensed cartoon character as a beverage mascot? Share below! Oh good, I’m not the only one! I grew up in Delaware and when going to school in Wilmington for 4-6 grade I remember these. We could get them from the snack area for $.75, but as it was also around the time of Space Jam, it was the popular thing to get. I only remember the chocolate flavored on, but perhaps it’s only the one I bought. AllenGibson Taz Shakes were the best! Holy Hell! I am so happy somebody else remembers these. They were served to us so cold the ice was sharp in my mouth, we would try to warm them up before we drank them. I got them in elementary school in suburban Detroit in the mid 90’s. I cannot believe that I am not the only one who remembers these! I was obsessed with how good Taz shakes were. Early nineties in Los Angeles, CA. OMFG!!! fukin flashback i remember these!!!! they were like twice the size of regular milk and the ones we had were frozen and on a hot day theyd get perfectly icy… fuuk now i gotta go grab a milkshake that wont taste half as good.